The Early Intervention Program was established at the University of Oregon in 1978. Since that time the faculty, staff, training efforts and products have had a major impact on the field of early intervention, early childhood special education and early childhood. 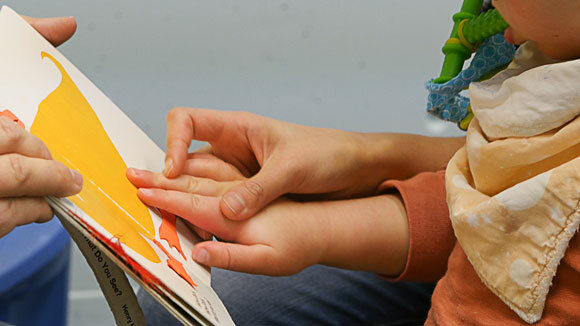 The major goal of the Early Intervention Program has been to expand and improve educational and therapeutic services for infants and young children who are at risk and disabled and their families. Underlying this goal or purpose is the assumption that improving and expanding services will effect positive change in children and their families which, in turn, will result in their positive contributions to the community and society. Assisting individual children and their families to become independent and productive. Organizationally the Early Intervention Program is located in the College of Education at the University of Oregon. Its personnel training programs are administered through the Area of Special Education while the research and demonstration components are associated with the Center on Human Development and the University of Oregon Center for Excellence in Developmental Disabilities (UOCEDD). The Early Intervention Program has four interrelated components: Personnel Preparation, Special Education, Outreach, and Research. © 2019 Early Intervention Program, University of Oregon College of Education. All rights reserved.